Jost Vineyards is situated on over 100 acres on Nova Scotia’s Sunrise Trail. It is the largest and longest operating winery in the Atlantic region, and the Jost family can be credited to pioneering the Nova Scotia wine industry. 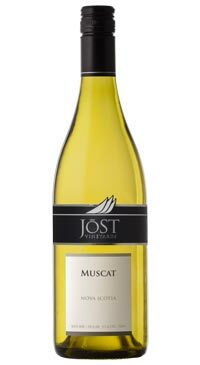 Jost has numerous contract growers across the province that supply the winery with the quality grapes for the production of their wines. Though ownership has changed in recent years, the Jost legacy lives on. Pronounced aromas of lychee, tropical fruit and rosewater give the illusion of sweetness to this light, exotic wine that is ultimately dry and very refreshing.